implementation of the IP gas pipeline project in the extended period. it a draft accordingly. Iran has agreed to negotiate the same alongwith some other amendments, which are awaited,” official sources in the Ministry of Petroleum and Natural Resources told APP sharing current status of the project. pipeline Project as per procedure in the due course of time. 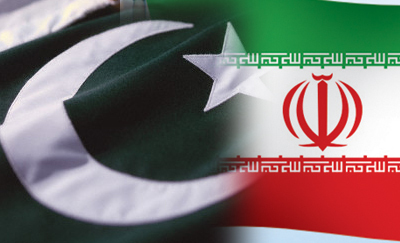 meetings between Pakistan and Iran. which should meet to discuss and decide on all outstanding matters,” they said. Framework Declaration was signed between the two countries on May 24, 2009, while GSPA had reached on June 2009. Subsequently, Pakistan issued sovereign guarantee on May 28, 2010.
feasibility, route survey and other formalities of the project were completed on September 8, 2012.
gas field Iran and end at Nawabshah covering a distance of around 1,931 kilometer with 1,150 km portion in Iran and 781 km in Pakistan. The implementation is to be done on the basis of a segmented approach whereby each country will be responsible for construction of pipeline in the respective territory. around 4,000 MW electricity also, along with creating job opportunities in backward areas of Balochistan and Sindh. Gwadar-Nawabshah gas pipeline was expected to commence soon on the same route of IP gas pipeline project in collaboration with China. fruition, voicing high hopes that gas shortfall problem would be solved within the remaining period of the Pakistan Muslim League-Nawaz (PML-N) government.